I am so stoked to introduce the latest mama to declare herself a Mom of the Year! 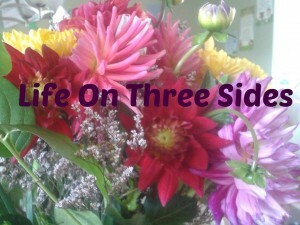 Have you all met Stacy of Life on Three Sides? When I read the first statement on her “About Me” page, I was a goner. Stacy says, “I’ve been working on finding my voice since my baby girl came along, and striving to find a way to balance the three sides of my life.” I know; who can’t relate to that? I admire Stacy for keeping it real and sharing the truth, something that I think we can all use in our lives. Many of us know how hard it is to speak praise for ourselves as parents. I think that’s often because for us to feel like we did “right”, we imagine having to give “greatness”. Some kind of monumental moment that is documented with pictures, rewarded with a huge collective of “likes” and “favorites”, on top of the smiles and squeals from the kid(s) to confirm we deserve to be recognized for a “moment of greatness”. But I’m not so sure that is how “greatness” should be defined. I think it’s actually pretty easy to have these monumental moments—the surprise trip to the park, to the ice cream store, a movie, a vacation, the gift of a long-wanted toy, etc. But the real “greatness”, the real moments that earn us our battle scars, our medals of honor, our true sense of greatness, and even the title of “Mom of the Year”, comes from the everyday moments. The moments when you took the time to cook their favorite pasta for dinner when you were bone tired. The moments when you read “Pajama Time” for the seventh time in a row at bedtime, because they love it so much. The choice to stay home with your kids because you know they need you, when you know you’re one of those mamas who loves their career, too. The choice to work because it is what is best for your family, when you wish you could be home every day. The living room forts, the long walks, the stuffed animal birthday parties, the Lego towers, tea parties, puzzles and color pages, and all the other things you do because you love your children, even when you’d rather be checking email or watching Top Chef. It is in those moments that a true “Mom of the Year” is made, and when real “greatness” happens. This is where we need to celebrate ourselves. In the trenches of life when we give not necessarily what we want, but what they deserve. It is in these everyday moments of greatness that we each earn our badge as Mom of the Year. Even I, with my natural instinct to embrace everything I’ve failed at and blindly look past my successes, can claim the title of Mom of the Year. 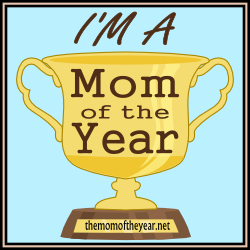 Because for my daughter, I am her Mama of the Year. The big things are great, but it’s the little moments of greatness that make her day, and let her know I love her best. Things like grabbing the shirt with the kitty face on it because I know it will make her smile. Letting her wear the tutu to the grocery store even though I know she’ll take it off half way through. Knowing she wants to have the “Monster’s Inc.” fork, not the “Cars” fork, and then letting her have my fork in the end. Taking her to the mailbox with me even if it takes three times as long, because she loves to hold the key. Transferring her food from the kitty plate to the turtle one because she needs the turtle plate right now. Letting her watch an episode of SuperWHY while I make dinner because I know she’s tired, and the relaxing time will help her wind down before she eats. Leaving the barbeque early because she needs to get to bed on time, even when I really want to stay. Letting her walk through Target instead of ride in the cart because she has so much fun, even though it doubles the length of our trip and guarantees we’ll forget a few things, buy something we don’t need, and another bag of goldfish. Remembering to sneak her taggie blanket in the wash right after nap, so it’s dry by bedtime because she can’t sleep without it. Reading, “I Love You, Stinky Face” three times at bedtime because it is one of her favorites and she loves to find the little doggy on the pages. It is all of these everyday little moments that make me Mom of the Year. Or more specifically, Mama of the year for my Maggie. And hers really is the vote that matters most.